U.S. carbon emissions are down by closer to 20 percent. The primary reason carbon emissions are falling is because of hydraulic fracturing -- or fracking. Some readers now are probably thinking I've been drinking or have lost my mind. Fracking technology for shale oil and gas drilling is supposed to be evil. Some states have outlawed it. Hillary Clinton and Bernie Sanders have come out against it in recent weeks. Schoolchildren have been bombarded with green propaganda about all the catastrophic consequences of fracking. Yep. For many on my friends on the left, the anti-fracking and man-is-causing-dangerous-global-warming-that-will-doom-the-planet arguments are not arguments about science, but rather about trying to stop progress. You got me, Paul. All this time, I and the rest of the scientific community have been falsifying satellite images of shrinking ice caps, fooling people into thinking fall is coming later and spring is coming earlier than decades ago, and waving our magic wands to create deadly, record-shattering heat waves in Russia (2010), the US (2012), China (2013), Europe (2014), India (2015).... JUST BECAUSE WE HATE PROGRESS THAT MUCH! Geez Louise, you have got to be kidding me. Natural gas burning produces about one-half CO2 that of coal. It also releases large amounts of methane which is even more deadly Gas must go the way of coal. I'm all for alternative energies AS LONG AS they need no subsidies to compete. We've had a solar tax credit for YEARS now & each December the solar lobby fires up to "save" the credit. Repeat after me: If an idea is economically beneficial to consumers, it will float on its own without government subsidies. Law, Republicans love subsidies. Look how much this RED, Republican state has given the Irsay, Simon, George family, and Angie's List. Why do you vote for them? You're only supporting it. Paul, I thought your position was that carbon emissions are unimportant. So, why your interest in fracking's supposed "reduction" of the same? 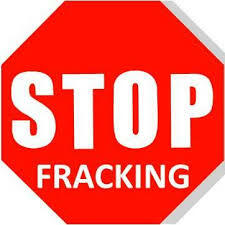 I support fracking because we need cheaper energy and to be able to get it domestically is a bonus. I don't support it because I'm worried about carbon emissions raising the temperature of the planet. Man is a bit player it comes to that issue. Solving global warming by burning more natural gas? That's like saying you can spend your way out of debt. Sorry not buying into this infomercial.